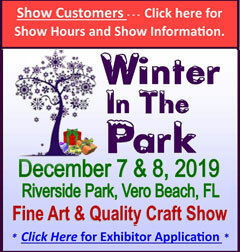 Huff’s Promotions offers over 30 years experience in organizing and promoting Art and Craft shows. Our schedule features high-traffic, regional indoor malls that have the advantage of a ready-made customer base in Ohio, Pennsylvania, Florida and Georgia. Show themes we currently organize benefit crafters, artisans, home-based business representatives and businesses that offer products or services to enhance today’s home and lifestyle. We invite you to view our show schedule to find opportunities for you. At each show our professional on-site show managers are committed to creating a relaxed atmosphere and a well-organized, hassle-free show experience. Take advantage of our knowledge and professionalism as we support your efforts toward profitable shows. We hope you will join us…rain or shine…and see why we are considered the #1 Mall Promoter.